The official POCO launcher app today received its latest 2.6.5.7 update. 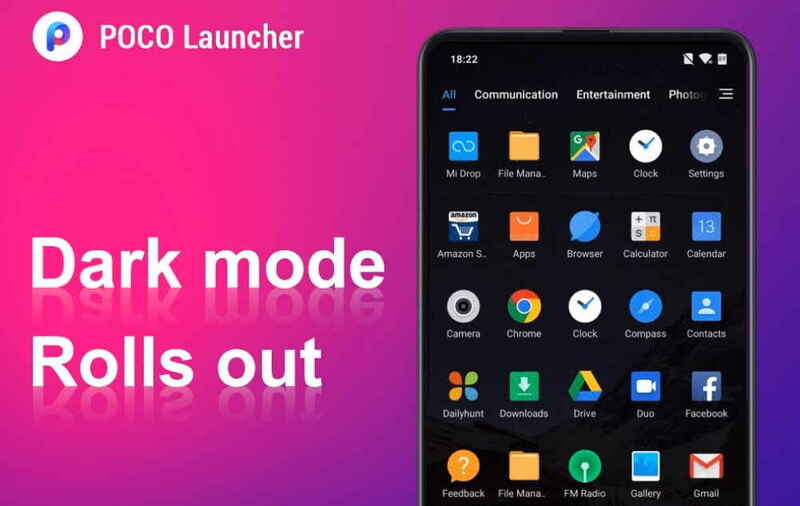 The latest POCO launcher update as its most notable feature finally adds Dark Mode, which is thankfully not limited to the settings of POCO launcher. The Dark Mode on the latest POCO launcher app can be enabled on the Hidden Apps and Icons, Select Items, All Apps Section and Home Screens and Recent, etc. The latest POCO launcher update also fixes the bug of icon pack with white background. Now you can also add custom apps to App vault shortcuts now. Below you can find the full changelog of the latest POCO Launcher Update 2.6.5.7. You can download the latest POCO launcher app from the play store here.